Squee Spree: Which is Cuter? Squee Spree: Let’s Play, Mom! Squee Spree: Bye Bye Warty Pigs! As we say goodbye to the squiggly tails of the squeedorable visayan warty pigs, I can’t wait ’til we see them again! Squee Spree: Bye Bye Bat Eared Foxes! It’s that time of week where we have to wish farewell to the current Squee Spree creature. Now let’s take a nice, long, close-up squee of the bat eared fox before we have to say goodbye for now! For this week’s Squee Spree versus we have two exotic, squeedorable predators! First we have the Bearcat (aka Binturong) from south-east Asia, which strangely enough is neither a bear, nor a cat. Second is the carnivorous Fossa, from Madagascar, member of the mongoose family. 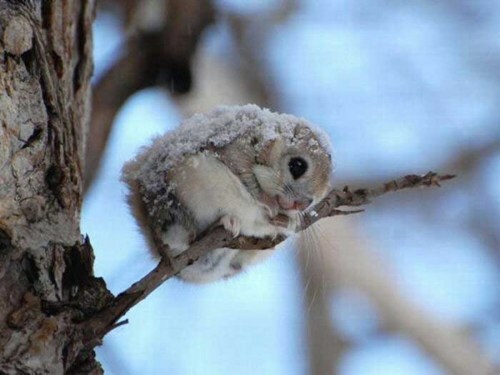 Which makes you squee?